Nicsmann 1940s by Lewré is now expanding their wing to above 6,000 feet at Sky Avenue, Genting Highlands SOON! From TREC Kuala Lumpur to Starling Mall Damansara Uptown, this unique restaurant-tainment concept, the two-tier restaurant offers an extraordinary experience to you and anyone with this al fresco dining in cool weather, elevated by fire pits in the patio. What a breathtaking! This will be an awesome experience for you and your loved ones to enjoy while dining with great moments with good food. The upstairs Nicsmann Rooftop is designed as an enertainement bar with dart machines, pool tables and more, overseeing the panoramic scenery in the open balcony. So the next time you guys wanna get warm with the live performance at the City of Entertainment and to feel the cold breeze atop the mountain, make sure fill your empty tummy here at to Nicsmann 1940s by Lewre Sky Avenue. woww.. this looks promising, I hope to see more of this place. Even the poster looks so tempting! Whoa! Dah sampai ke Sky Avenue dah Nicsmann ni. Hebat dia punya expanding. I personally love all their menu range. Unik but still sedap.Mesti best dine kat sini dengar cuaca sejuk. Wow the restaurant seems nice, has good concept and view.. now Sky Avenue Genting has so much attraction places, hmm will come there one day, thanks for sharing! Wah menariknya tempat makan ni. 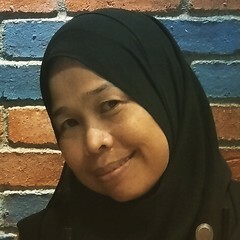 Cantik je. Sesuai sgt kalau nak candle light dinner. Sambil honeymoon boleh la beromantik dekat restoran kelas macam ni kan.
glad you share about this as I have not go there to try. Now I am hungry shall tell my friends to plan go together to dine! bau nak buka ke..mesti menarik tempat ni..besar , makanan pun mesti sedap-sedap..tak sabar nak tengok feedback orang nanti..
Nicsman 1940 I pernah dengan pasal restoran ni memang nampak menarik dan sedap kita tahu mereka baru nak buka kat Genting nanti hehehehe kalau dapat pergi sana bestnya..
PErghhh makanan dia semua nampak sedap..
it would be perfect for love birds to come and dine. Nampak menarik, restoran ini halal ya? Boleh cuba nanti jika Halal. Sebab selalu juga ke genting. Genting kan dah ada macam-macam. Anak-anak pun happy naik genting. Movie ada, taman tema ada, shopping mall ada, restoran macam-macam ada. Nicsmann 1940s by Lewre SkyAvenue sounds really exciting. I can't wait for it to open, and dine there when I next visit SkyAvenue!